I have just returned from a highly enjoyable, rather funny at times and entertaining afternoon with my daughter at the finals of the Shakespeare Off By Heart competition, the brilliant collaboration between the BBC and the Shakespeare Schools Festival and hosted by the Royal Shakespeare Company, Straford upon Avon. Nine finalists, chosen from around 1500 students who entered the competition (daughter included) had to learn by heart and perform a piece from a selected choice of Shakespeare. It has been fascinating, above all else, to see the new RSC theatre and to see in action, a televised event – to be shown sometime in April, I believe, but I do not think a scheduled date has been set yet. The judges were equally interesting in their vast array of talent – Samuel West, actor and director, Simon Schama, university professor, writer and broadcaster amongst numerous talents, and Imogen Stubbs, known for her versatility as a Shakespearian as well as remarkable television actress. I have pondered what these young people have acquired, those who embarked on the first step along the way and rehearsed, practised and knew their chosen piece ‘off by heart’ and those who stole the stage today. I am ever fond of harking back to my own school days, so many moons ago, which comprise a small rural primary school and a girl’s grammar school. In both, a sense of tradition and purpose was ever present. In my primary school I recall learning by heart not only times tables and spellings, with weekly tests recited to the whole of the class, but also reciting poetry and selected prose. Those traditions, if I do not offend a great many sensibilities with the term, remained welll through high school at a time when GCE ‘O’ leves and ‘A’ levels required a great deal of learning by rote. I still recall lines of Antony and Cleopatra, of Julius Caesar, and still have as my reference copies of all my A level texts, complete with tidy notes in minute script around the edge of every page. How times have changed these intervening years. So, today’s event in part, took me back to a time when I would have spent what seemed an eternity, reciting Shakespearian lines until I knew them perfectly, without a glance, knew every pause in their make up, every moment of triumph, of grief, of sadness, of joy. “Cleopatra: If it be love indeed, tell me how much. Cleopatra: I’ll set a bourn how far to be beloved. A heightened sense of one’s own individuality, uniqueness, talent, capability, capacity to deal with nerves, stress, anxiety, tension, applause, attention, reward, and to deal with all that unfolds with good grace and fortitude. My greatest regards to the finalists who revealed their immense talent today – to Amy of Northern Ireland, Ben of the Midlands, Emily of the West Country, Femi of London, Jacinta of North Wales, Jack of the South Coast, James of Yorkshire, Neil of North West Scotland and Nuha of London. I am sure all will have achieved much over this past few months that will remain with them a life-time. Do look out for the BBC production of Shakespeare Off By Heart. I hope this event sparks in all our schools a great desire to consider what opportunities we give our students to experience learning Shakespeare off by heart, to a love of our great literary heritage. I hope also we will remember in times of great glory, that this success did not come over-night, but as with all things, has been borne of hard work, persistence and passion. So who did you think should have been final three? I was there too and agreed with two of the three finalists! Hello Amanda. How very good of you to comment. Wasn’t it a glorious event? I had ear-marked (so very confident I would be right..) Neil, Ben and Femi. All were brilliant, but some engaged and captivated me, personally, just a little more than others. Congratulations in choosing two out of the three. Yes, true. I have been impressed that so many people entered and that the finalists clearly seem to have a passion for Shakespeare. I do wonder what sophisticated systems the judges had for deciding or whether that was a gut instinct based on all their collective experience. They had so little time to make up their minds. I wonder how it will translate to tv. I thought Paxman’s goodbyes rather short and sweet. It will be interesting to see. James is my son and given your interest in SEN, you might be interested to know that at Junior School he had a statement of special educational needs. Even now he struggles at school, so this just shows what you can achieve when you work hard at something. I personally thought that Ben was excellent, but really it was almost unfair to choose. I genuinely thought that they could have chosen any 3 from the 9 and no one could have objected. They were all really lovely kids by the way. James still tweets Ben, Amy and Jacinta and is looking forward to meeting Neil again this summer as they have both got in to the National Youth theatre. Thank you so much for your mail and very thoughtful comments, which are much appreciated. Congratulations on having such a talented son, who has clearly worked hard to overcome significant difficulties. I am surprised that you say he had a Statement of SEN at primary school, but of course, SEN does not come in a one size fits all. I am very impressed that your son and some of the others have got into the Nataional Youth Theatre. I am sure their skills will be much in demand. If you have a moment to reply, I have been searching to see when the BBC broadcast of the event is on television. Have I missed the event perhaps? I thought it was due near the end of April. Thank you again for your lovely mail – this post seems to have captured more attention than many others. You haven’t missed it. It was supposed to be broadcast on Shakespeare’s birthday, but wasn’t. Don’t know why. The BBC website says it’ll be on BBC2 during May. I haven’t seen it in the actual schedules yet, but it must be imminent. Both James and his twin brother were statemented when they were younger and I genuinely think that James’ love of acting and determination to read around the subject has played a large part in his overcoming his stammer and improving his reading ability. Should probably add that Ben’s already a member of the NYT. Thanks for your reply. There are many Shakespeare events on throughout this year – and throughout the world it seems – so perhaps the BBC are choosing carefully their timings. I think it will be a wonderful show to see again on tv, but I can imagine at the moment it could well lose out to programmes like The Voice or Britain’s Got Talent, according to scheduling (and can’t remember what channel they are both on now so that may not be relevant). You must be very proud to have two sons both achieving so highly. I am sure this exposure to theatre and television will be a great boost to their prospects, and will be highly advantageous. All the speakers were really incredibly eloquent, passionate, brave and talented. It takes some courage to stand on that stage and recite Shakespeare and is no easy task. Thank you so much for sharing this with me – good to know I am not always writing for my own sake.. The Radio Times says it’s on BBC2 9.00-10.20pm on Saturday 19th May. Many thanks for the update. I shall add that to my viewing schedule (or get my daughter to do that for me…) Imagine James is very excited! Hope you have a wonderful family evening watching the show all over again. Have a great evening. Did you watch the programme? What did you think? I did indeed watch the programme and thought it was really rather brilliant! I have been plagued with internet problems and haven’t been able to tweet about the event as I had wished. I did think your comments and your son’s, were really very enlightened and heartfelt. It must have seemed very strange watching the programme and seeing how the event has come across on tv – but also, very exciting. Some strange camera angles at times, I thought, but interesting to see the judges as they made their decision. Absolutely fascinating and I do wish your son every success in what I am sure will be a brilliant future on the stage or on screen. Do pass on my regards. I thought the programme was excellent, really enjoyable viewing. Interesting that they did the contestants in a completely different order to the one they performed in on the day. At least it was made clear how close it was between Ben and Amy but I still think they made the wrong decision there. Would have loved to have seen Ben’s Hamlet. I honestly couldn’t have argued with any 3 from the 9 being selected, I really couldn’t. No doubt Ben’s Hamlet would have been excellent. One thing that I’m sorry they missed was the absolute roar that greeted Emily when she finished. I was really proud of her for re-starting and then nailing it. She showed real character IMO. Thank you Heather, I will pass on your regards. We’ve just found out that his twin brother, (who was at School and so didn’t get a mention!) has got in to CAPA, which is a Northern version of the Brit School, so we’re really chuffed for him. GCSE’s permitting of course. Thanks so much for your comments. Yes, I agree Amanda, that it was very interesting how they edited the show and did like how they showed the judges’ deliberations. John, you must be immensely proud of James and his twin brother. What an abundance of talent for one family! Really excellent news. Incidentally, very pleased that this one blog post has had far more interest than I think most of my others put together. Very good to see a lot of interest for the show and its young stars. Apropos of the judging panel, Samuel West’s comments were authoritative and instructive, but I was annoyed that he barely let Imogen Stubbs get a word in edgeways and at times drowned her out. She obviously sensed this herself and her efforts to contribute seemed affected by his discourteous dominance. Would’ve really loved to have heard Imogen unhindered! Thanks so much for your comments. Strangely I commented on as much to my daughter as we watched the programme. I wonder if that was just unfortunate editing, or a clash of personalities. It would have been good to hear more of Imogen’s contributions, which I think were highly insightful. I was actually surprised, but perhaps I shouldn’t have been, by the eloquence and knowledge of Simon Schama. I had not taken him for such a thespian. Thank you for seeing my point of view relating to the judging panel. Yes, Simon was superb as chairman. At age 69, I learned so much from the young performers’ delivery of Shakespeare’s lines. Nuha was the undisputed icing on the cake, particularly for her rendering of the Hamlet soliloquy (voice, gesture and body language)! I agree with u Oliver. Most times imogen’s voice was buried by the other two. Attimes it felt like she was been rushed with her comments, that’s how it came across to me anyways. On the performance, for me I really liked Jack, Femi, Ben, their expression was wonderful to watch, they reached into my heart.. . 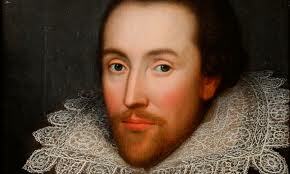 But if am thinking inside the shakespeare box then without a doubt Nuha stood tall with her wonderful eloquence and intelligence of shakespeare, i think wiliam shakespeare alive today would have been proud of them all. interestingly we didn’t get to see the judges opinion on Jacinta’s performance. They only showed few bits of each performance (which is a shame) making way for other boring stuff e.g movement coaching, and d part when they were been put through what happens when things go wrong on stage e.t.c. I don’t think they should have shown Emily’s first part of her performance when her nerves took over, they should have shown only the second part where she started again, they even had a background sound playing when she was trying to regain her composure. They could cut this bit off as this was recorded and not live but i guess they see it as good viewing.